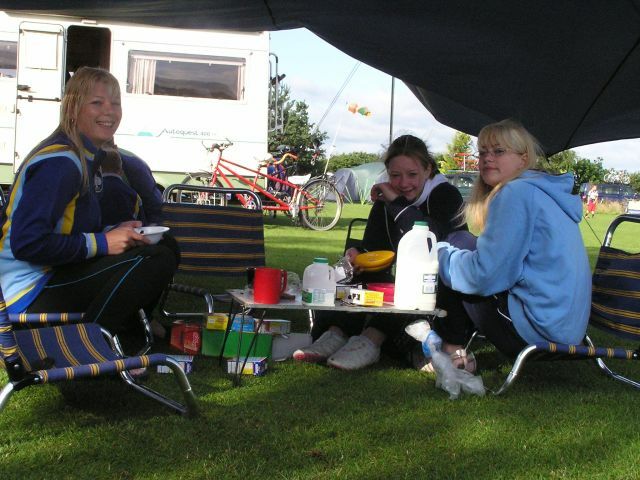 The Carthy girls Natalie and Katie with their mum Maria having breakfast. 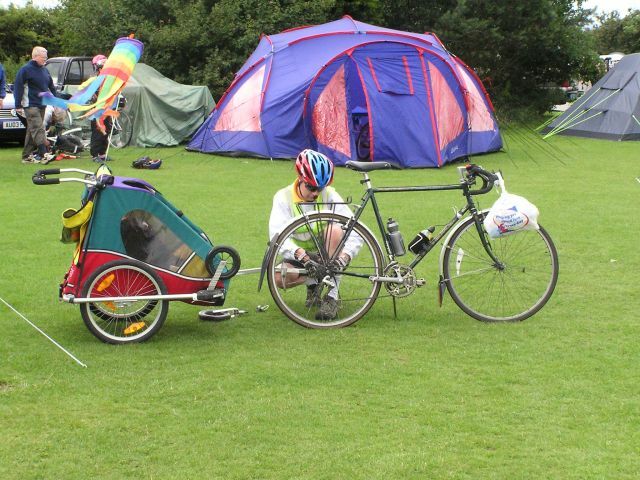 They cycled camped from Burton-upon-Trent. 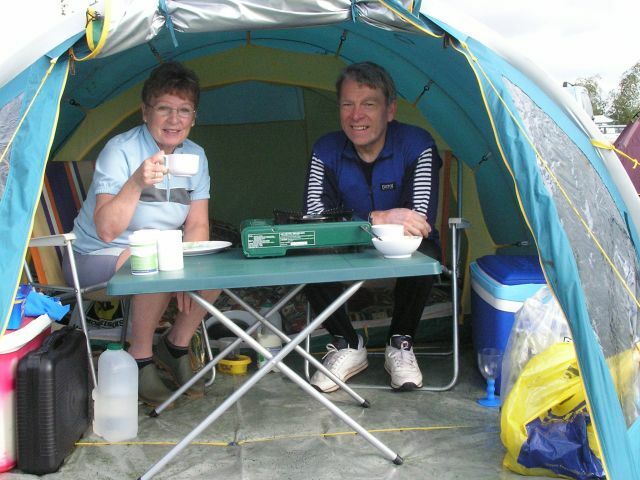 Joan and Eddie Ashby enjoying a morning cuppa. 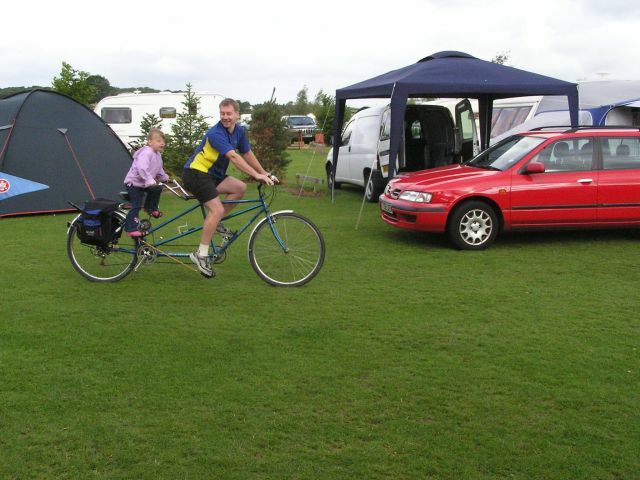 A quick spin around the campsite to warm up. 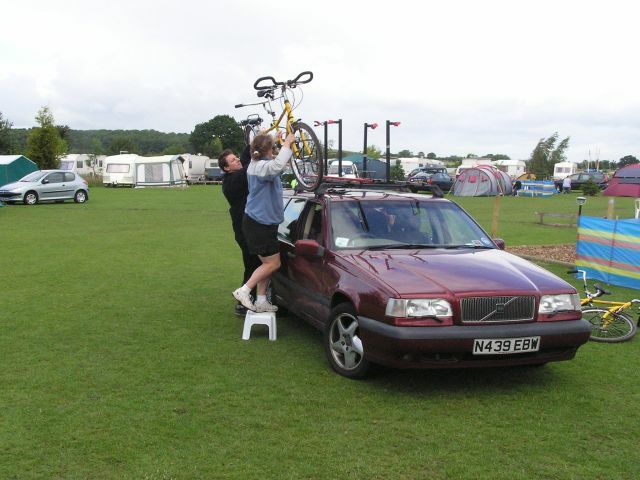 The late arrivals - Chris and Jane Sherwood unload one of their Dawes Twocans. Typical of living close by they were the last to arrive and first to leave! Well it has at least got the correct wheel to saddle ratio! 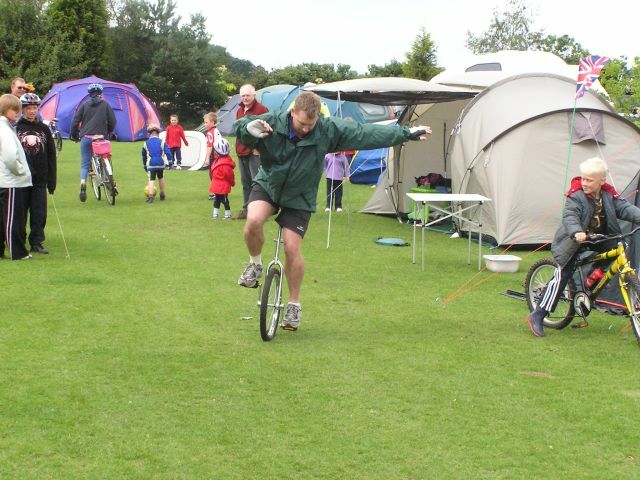 Martin Money making adjustments to his half bike prior to Saturday's ride. Note the large tiger cage behind - that housed 3 Generations of Fen Tigers! 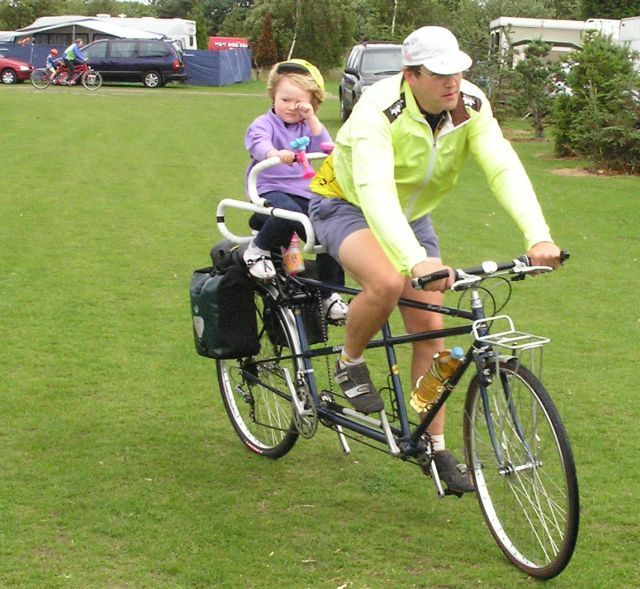 Philip and Georgia Cunningham having a quick spin on their new tandem, Rapunzel (previously known as Barbie), around the campsite before setting off on the days ride.